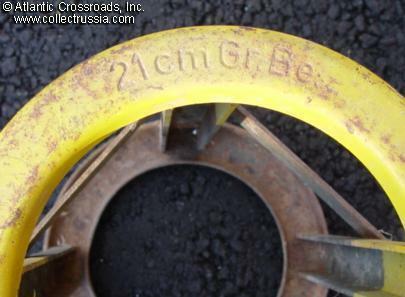 21 cm mortar special ammunition holder. 21 cm mortar special ammunition holder. Marked to the top. 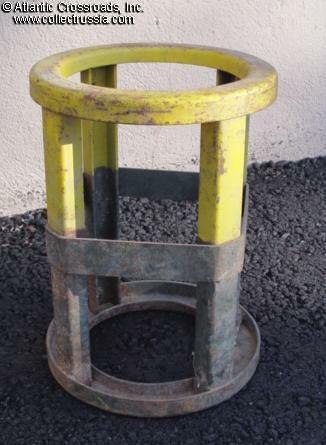 Green and yellow painted metal container, apparenly a stand to stabilize this large piece of ordnance, either while shipping or loading. About 11" tall x 8" diameter.